So many bulk dried mushrooms! Bunches of flours! 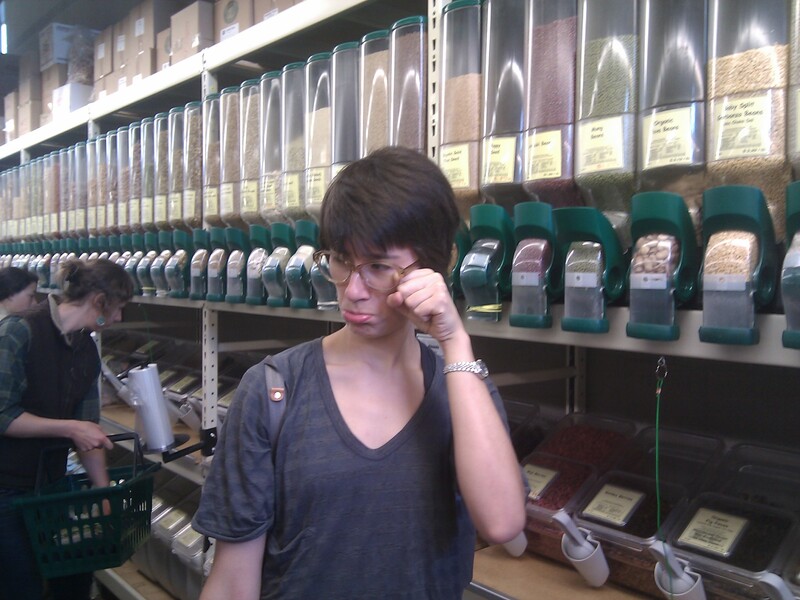 Dried legumes! Unsulphured apricots! Ginger candy! A vanload of grad students headed out to SFO for Maker faire!